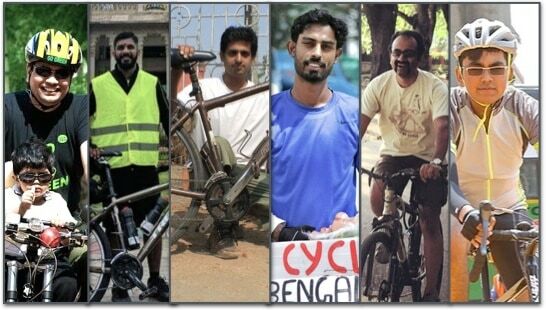 Meet 6 passionate cyclists – one of them’s gonna be Bengaluru’s first Bicycle Mayor! A passionate environmentalist and cyclist who has earned the nickname ‘Go Green Rao’ for his years of activism, another deeply inspired by the French culture of cycling and its implications for urban health, a sustainable mobility activist working with NGOs on various public transport campaigns, a corporate executive who quit his job to embark on a solo cycling tour across India, a cyclist inspired by the tales of his grandfather, and a 15-year-old student planning to use his love for cycling to generate greater awareness for social causes — these six people are vying for a title that is a first for our city. The Bicycle Mayor of Bengaluru. The Bicycle Mayor Program is a global program by ByCS, a Dutch NGO that is being coordinated in Bengaluru by the Evangelical Social Action Forum (ESAF). The mission statement for the programme is ‘50 by 30’, implying a target of 50% for cycle commute by the year 2030. 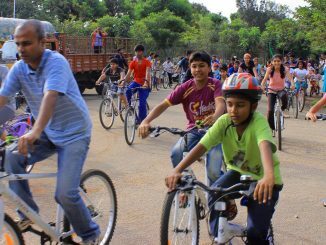 The NGO, which is also a part of Bengaluru Coalition for Open Streets (BCOS), called out to all avid cyclists across the city for an opportunity to work with policy makers and practitioners and the public to make cycling a popular and viable means of public transport. The deadline for applications was April 23, 2018. The six candidates were shortlisted by a panel of sustainability mobility experts and civic activists consisting of Ashwin Mahesh, Prof. Ashish Varma, V Ravichander, Pawan Mulukutla and Srinivas Alavalli. A final decision will be made based on prior interest in cycling and general background. Let’s learn a little more about each of the prospective mayors. His passion for cycling originated from watching a David Guggenheim documentary on Global Warming called ‘An Inconvenient Truth’. In September 2008, Rao started cycling to work not only because it is environment-friendly and helps conserve fossil fuels, but also because it keeps one healthy and can help resolve traffic issues in a city like Bengaluru. Soon Rao found like-minded people and formed a group called Go Green Initiators (GGI). His motto is “Say No to CO2 by saying Yes to C2O (Cycling to Office)”. In November 2008, he started a blog to share his thoughts on cycling and the Go Green Campaign rides. The first ride had only five participants: his brother, his brothers-in-law, a school friend and himself. However, the team grew larger with each passing month and they’ve now created a strong base for the cycling community in Bengaluru and across the country. Members include more than 4000 working professionals in Bengaluru alone. Prabhakar Rao, meanwhile, has come to be known as Go Green Rao among the cycling community, because of his dedication and contributions towards promotion of cycling. 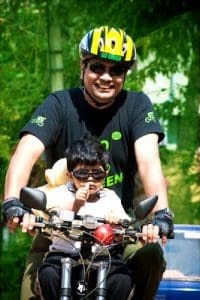 For over nine years now, he has strived to create a platform for cyclists and conducted more than 540 Go Green Campaign rides, through which he knows most of the cyclists in the country personally. He has been recognised for his efforts and recently received the ‘Bicycle Bull of India Award’. 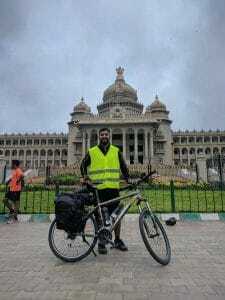 It was on his first cycling tour across France that H R Murali realised how cycling could be the solution to many of the problems created by automobile transportation, especially in big cities. Cycling long distances has given him good health and endurance, and he wants to promote this healthy lifestyle in Indian cities. 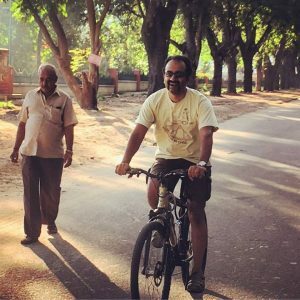 Murali feels that some of the biggest constraints to a more pervasive cycling culture and habit arise from the attitude that people have towards cycling and the lack of supportive infrastructure. To address these issues, he has initiated the creation of bicycle-friendly streets in Jayanagar, the Madiwala cycle track and the RMZ Metro connectivity cycle track with help from BBMP and the Directorate of Urban Land Transport (Government of Karnataka) . According to him, the government needs to create better infrastructure to enable cycling, encourage relationships and exchanges between cities that have a cycling culture, and organise events like Cycling Day. People need to realise that cycling is a healthier mode of commute and embrace it. To spread awareness and make cycling more appealing and fashionable, Murali aims to work with people from different countries and different organisations. He believes that it is important to publish books on cycling to help people embrace the mode, especially books in local languages. 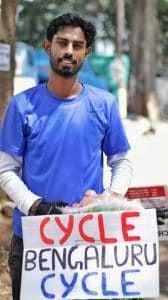 If he does become Bengaluru’s Bicycle Mayor, Murali intends to work towards the creation of cycle tracks along stretches where it is easy to cycle, enable connectivity to Metro stations and public transport, and ensure ease of parking and safety of cyclists. Having been involved in the civic intervention space for over 10 years, Sathya Sankaran looks at cycling as a mode of changing the urban landscape. He also stresses on the benefits from cycling to the health of citizens. Sathya points to various factors constraining the adoption of cycling on a larger scale in the city. These include a growing attitudinal preference among people for expensive personal motor vehicles, safety issues involved in riding alongside heavy vehicles and lack of appropriate signalling. Besides while the creation of cycling infrastructure entails significant investment on the part of the government, it does not generate commensurate revenue. Sustainability is unfortunately not yet an economically attractive choice, but is the right choice and the need of the hour. Sathya wants the public to be empowered with information so that they make the right choice. Maarukatte/ Market: by introducing products like cycling signals and solutions that can impact citizens. He is all of 15 years! This environment enthusiast has been passionate about cycling since he was a little child. 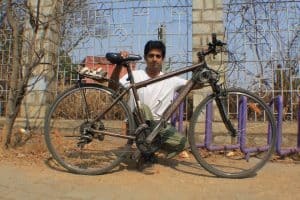 He plans to take his love for cycling to the next level by participating in a 1000-km yatra from Bengaluru to Mumbai, which he would also use as an occasion to campaign against bullying and sexual abuse. Maharshi believes that the lack of dedicated cycling lanes, bad condition of roads, and people’s negative attitude towards cycling are some of the factors that are stopping Bengaluru from becoming the bicycling capital of India. He urges the government to create dedicated cycling lanes, provide subsidies to students, introduce yearly reward systems for areas that have optimum cycling adoption, introduce three-seater cycles for the use of families, and reduce taxes on cycles. 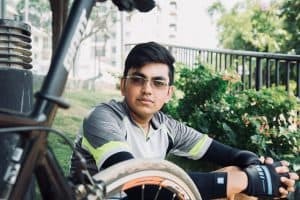 If he becomes Bengaluru’s Bicycle Mayor, he aims to not only influence school-goers and office goers to adopt cycling, but also to lobby with local authorities and the government to affect change. He was always a cyclist, , having cycled to and from school and then work. But then he made the bold move of quitting his corporate job and undertaking a solo pan-India cycling tour, spanning 10,000 kms and 18 states from July 2017 to January 2018. During this journey, he addressed many educational institutions and created awareness about the health benefits of cycling. According to Anil, lack of safety, parking spaces, street lighting are major impediments to the large scale adoption of cycling in the city. The fact that most people still view cycling as a recreational activity alone is also responsible. He believes that the government can not only help by creating dedicated cycling lanes but also by reducing duties on imported cycles and setting up manufacturing units of foreign brands to prompt more people to take up cycling. He wishes to use digital media to create awareness in young minds about the pros of cycling. If chosen as Bengaluru’s Bicycle Mayor, Anil wants to increase the number of bicycle rental kiosks across the city and facilitate the transportation of cycles on metros and public transport systems. He believes that the Bicycle Mayor mission of ’50 by 30’ (50% of transportation through cycling by 2030) is indeed achievable. He urges the government to collaborate with corporates and start-ups to create cycling lanes and parking slots. Citizen Matters is the media partner for the Bicycle Mayor of Bengaluru initiative. Shravya Sharath is a student of Journalism at Christ University, interning at Citizen Matters. Pedestrians of all ages and abilities are entitled to safe roads and footpaths. Children and adults in Bangalore reminded the government and the public about the need to ensure this at all times. Wonderful programme, Bicycle Mayor hope this spark catches up like forest fire among the public across the country. Very inspiring article.